In this section you will find some simple synth plugins I created mostly as examples for the Delphi ASIO & VST open source project. Have a look at the source code or contribute to the project and modify all the plugins. 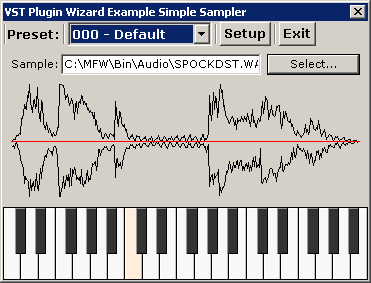 A simple sine synth with only one sine oszillator. 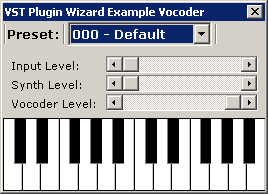 A simple vocoder based on a minimum-phase Chebyshev filter bank. A simple 2-oszillator synth (not alias free! ).